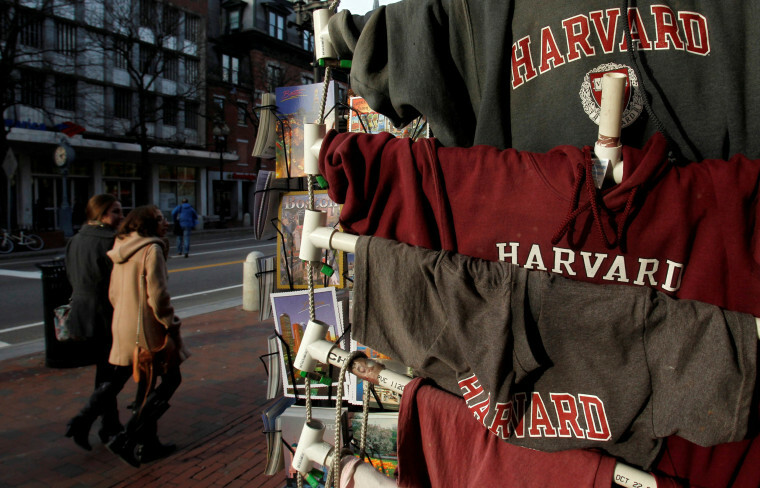 The lawsuit filed by Students for Fair Admissions accuses Harvard of discriminating against undergraduate Asian-American applicants. As a federal judge continues to weigh the case against Harvard's race-conscious admissions, supporters on both sides are speaking up. This week, opposing advocacy groups and academics filed rival briefs — one side arguing that a federal judge should find that Harvard discriminates against Asian Americans in its admissions; the other arguing that affirmative action is beneficial. The organizations include the Asian American Coalition for Education (AACE) — which wrote in court filings that it represents about 260 businesses, education and cultural groups and accuses Harvard of discriminating "against Asian-American applicants in order to maintain unlawful racial quotas" — and the Asian American Legal Defense and Education Fund (AALDEF) in conjunction with about 20 other groups — which said the fair admissions group failed to prove Harvard discriminated. "We support diversity and affirmative action in higher education. But we don't think a race-conscious approach is the way to go. Equal opportunity, not equal outcome," Wenyuan Wu, director of administration for AACE, said in an email to NBC News. Wu added that the "abysmal state of K-12 education in underrepresented communities across the country" was the true cause of the lack of racial diversity on college campuses, and that a race-conscious admissions policy would not solve the issue. But a statement on Thursday from AALDEF in support of affirmative action, argued that the lawsuit against Harvard was less about discrimination against Asian Americans, and more about opposing affirmative action for Black and Latino students. “Looking at the evidence, it’s apparent that plaintiffs did not make any case of intentional discrimination against Asian Americans,“ Ken Kimerling, legal director for AALDEF, told NBC News by phone. The rating, one of several that Harvard assigns to applicants that play a part in its admissions process, considers things like whether an applicant has a “positive personality,” as well as characters traits like “helpfulness,” “courage” and “kindness,” according to court filings. Students for Fair Admissions accused Harvard officials of giving Asian Americans as a group the lowest personal ratings despite those applicants having high academic and extracurricular scores. The trial, which opened to a full courtroom and overflow seating, consisted in large part of two competing statistical models, one promoted by Students for Fair Admissions that they said showed the university discriminated and another by Harvard that the school said showed it did not. The case is being closely watched as it could affect race-conscious admissions policies at elite college across the U.S. Affirmative action, the practice by some universities to take an applicant’s race into account for admissions purposes has been ruled constitutional but is subject to strict rules. Applicants to a program must be pooled together and compete against one another. For a university’s race-conscious policy to be considered legal, they must also show that race-neutral methods of diversifying their students — such as plans in which a certain percentage of top students at their high school are offered admittance, policies based on socioeconomic status, or programs based on a student’s area of academic interest — are not enough to achieve their goals. In 2011, the Departments of Education and Justice under President Barack Obama issued guidelines based on court opinions on how universities may take race into account in their admissions if they desire. While the court opinions underlying those guidelines remain valid, the Trump administration withdrew them last July. CORRECTION (Jan. 11, 2019, 3:32 p.m. ET): An earlier version of this article misstated the last name of the director of administration at the Asian American Coalition for Education. She is Wenyuan Wu, not Wenyuan Yu.